RMSR, M., AA, A., MAB, F., H., F., NZ, Y., HK (Malaysia), A. (2017). Determination of Particulate Matter and Toxic Gaseous in Ambient Air Adjacent to Industrial Area. Iranian Journal of Energy and Environment; previously called: Iranica Journal of Energy & Environment, 8(2), -. Mohamed RMSR; Al-Gheethi AA; Fahira MAB; Fahimah H.; Yahaya NZ; Amir HK (Malaysia). "Determination of Particulate Matter and Toxic Gaseous in Ambient Air Adjacent to Industrial Area". Iranian Journal of Energy and Environment; previously called: Iranica Journal of Energy & Environment, 8, 2, 2017, -. RMSR, M., AA, A., MAB, F., H., F., NZ, Y., HK (Malaysia), A. (2017). 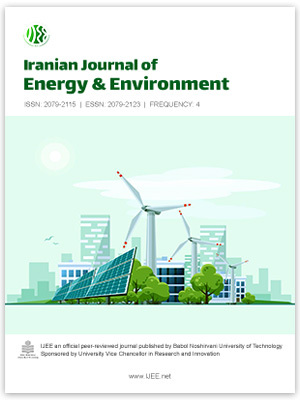 'Determination of Particulate Matter and Toxic Gaseous in Ambient Air Adjacent to Industrial Area', Iranian Journal of Energy and Environment; previously called: Iranica Journal of Energy & Environment, 8(2), pp. -. RMSR, M., AA, A., MAB, F., H., F., NZ, Y., HK (Malaysia), A. Determination of Particulate Matter and Toxic Gaseous in Ambient Air Adjacent to Industrial Area. Iranian Journal of Energy and Environment; previously called: Iranica Journal of Energy & Environment, 2017; 8(2): -.